HDBaseT™ Certified PCIe Extender Card, compatible with other HDBaseT products. Able to drive one 4K 60Hz 4:4:4 8-bit or 4K 30Hz 4:4:4 12-bit display over 100 meters / 328 feet using CAT cable. Works with most graphics cards with an HDMI signal allowing for long distance high frame rate applications, such as 4K gaming and other 4K professional HDBaseT audiovisual installations. Full 5 Play features: Audio/Video, Ethernet, USB, Bi-directional Controls (RS232, CEC, IR) and Power over HDBaseT. Designed to work with your on-board, embedded, workstation or gaming graphics cards that have an HDMI port allowing you to extend your computers Full 5 Play features (Audio/Video, Ethernet, USB, Bi-directional Controls (RS232, CEC, IR) and Power over HDBaseT) across rooms to displays, interactive displays or projectors. Do you really need to increase the points of failure and increase the use of legacy electronic waste in your installations by using additional cables for RS232, CEC, IR in and IR out? With TC1 Extreme, you do not need to, a single CAT cable does all of this including your Audio / Video needs. World’s first HDBaseT PCIe extender with IR/RS232/CEC emulated controls and USB/Ethernet giving you the IOT power over your displays/projectors. TC1 Extreme has Infrared (IR) & RS232: Encode and decode IR and RS232 signals through Serial Console. The power of a universal remote control and the power to sniff and read any incoming IR and RS232 signal, copy the signal, and send the signal back out. Emulation of any RC5 or CIRC IR commands. 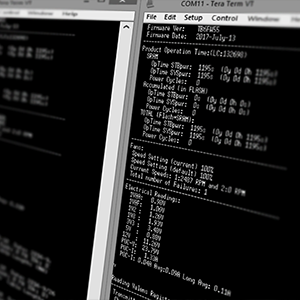 Consumer Electronics Control (CEC): Encode and decode CEC signals through Serial Console. Can send raw command CEC strings, emulating any device. Auto responds to basic CEC commands with additional diagnostic mode that can capture and show full raw data and timing information. Do you really need to use an IR remote control? Don’t worry we have you covered. …. 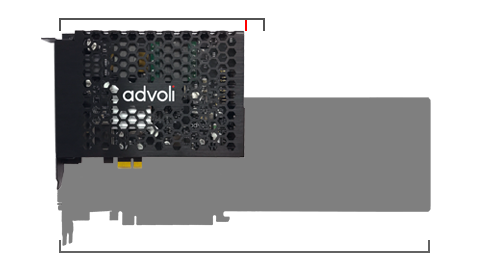 the advoli™ TC1 Extreme PCIe Extender Card has one IR input and one output port for an IR Blaster and an IR receiver. 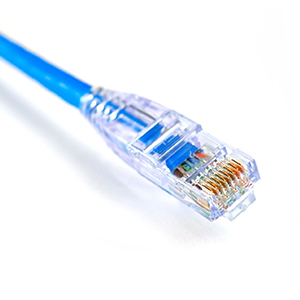 Easy to terminate on site during installation – not possible with most other audiovisual cables. Greater features not possible with competing audiovisual standards. Single-width PCIe half length form factor specification in parenthesis. 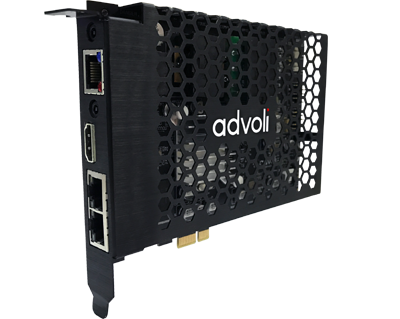 The advoli™ TC1 Extreme comes with HDBaseT™ diagnostic features: cable distance, signal quality and signal integrity for each twisted pair on CAT cable. 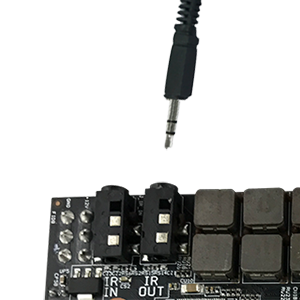 The PCIe is packed with environmental sensors/controls/information: voltages, temperature, operational hour, power cycles and display/projector connectivity. This gives the end user control over audiovisual installations all the way down to the displays, to more effectively and remotely diagnose problems reducing the need to send technicians on-site to determine the problem – saving costs. With a future web-based interface, diagnosis and notification service, installation oversight can be fully automated ensuring higher up-time and faster fixes. Data may be updated in the future based on new cable testing.